This is an exciting post! I have been working on this project for months in baby steps and it's finally ready! So here's the deal, I bought out a guy's analog collection basically to get a Roland Jupiter 8. 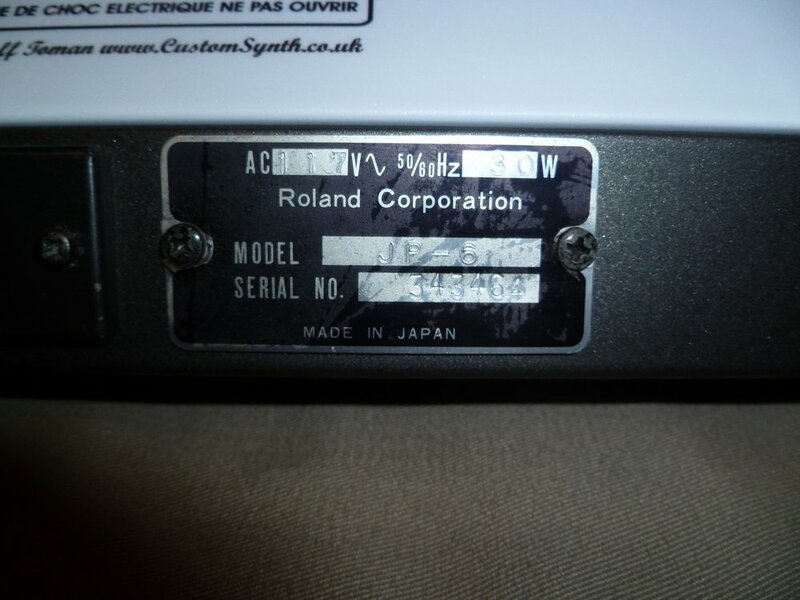 Included in the deal were a Roland TR-909 which i already posted about here: ( ::: TR **DR** [[ 909 ]] ::: ) and a Roland Jupiter 6 which is todays post! This is quite a specimen! When i received the JP-6 it was mostly working and very updated. 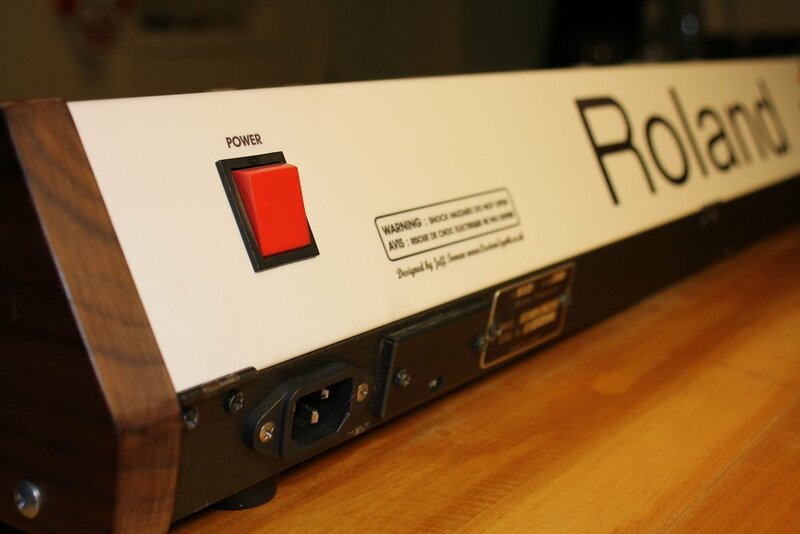 It has the Europa mod which brings it's brains up to 21st century MIDI capabilities. The previous owner made wood sides to replace the stock metal ones, which i'm glad he also held on to. 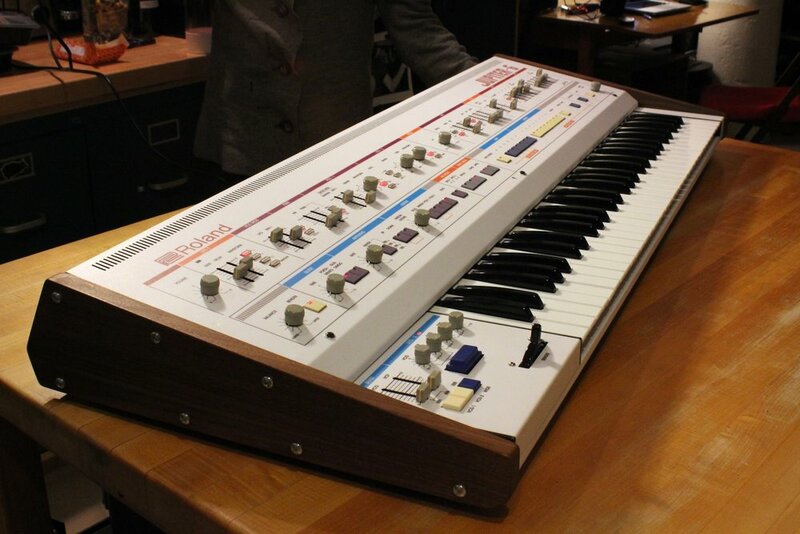 The body went to customsynth.co.uk and was totally repainted and re-screened. There was one large knob missing. I tracked one down and did a course of the Retr0Bright process to get them all back to the original grey as some had yellowed due to sun damage. The 2 prong power receptacle was replaced with a 3 prong IEC style one. All of the sliders and pots have been replaced. All the voices tune and STAY TUNED ( I burned this JP-6 in for 5 days in the studio and it was still in perfect tune at the end ). In fact, when i looked under the hood the only functionality issues were in the Bender Board where the LFO 2 was non functional. There were just some bunk components that were in need of replacement. It's sweet to look at and is probably the most pimped out JP-6 i've ever encountered. On a side note, the previous owner painted the bender board caps blue which is cool but i tracked down some of the original white ones to see if they looked better. 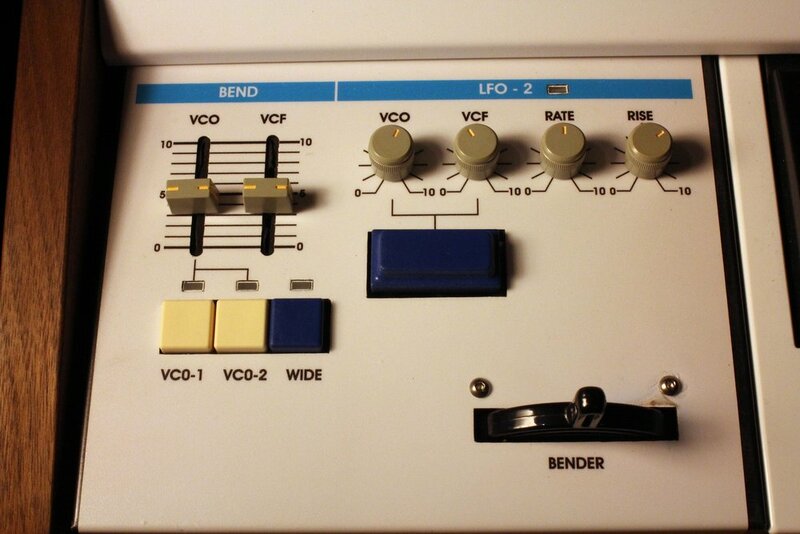 I actually settled on a mix where the 'Wide' and 'LFO 2' buttons are blue and the 'VCO' buttons are white but still have the others just in case. It will be offered up soon on the AH list.